William "Yukon" O'Connor had a 26 year career as an aviator in the United States Air Force and completed tours of duty flying eight different types of jets, including assignments as an exchange officer to both the Egyptian Air Force and the U.S. Navy. Learn more about Yukon's 26 year active duty career. 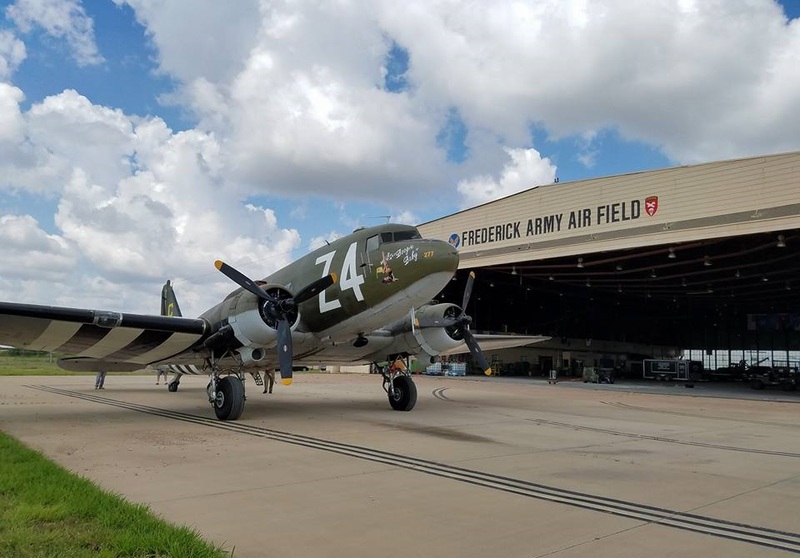 Learn more about the WWII Airborne Demonstration Team flying their C-47 out of Frederick, Oklahoma.